Fast Moving Consumer Goods companies across the world are building markets as they grow towards their ambitious targets. Some of these companies have high brand loyalty such as Johnson & Johnson, Nestlé, Mondelēz, P&G, Unilever, Pepsi, Coca-Cola, and even Philip Morris. How do these big companies expand their business? They broaden their product portfolio to better connect with the end consumer. They better their promotional and communication strategies to boost product awareness. They extend their distribution network to penetrate deep into existent territories and spread to new territories. The above pointers provide a threefold approach to success in the FMCG sector. Now, how do the first two points compare in terms of measurable metrics and key performance areas? Product development and subsequent promotions are a factor of market research and responsiveness. It is predictive in nature and builds on insights and analytics. The third point here covers expansion of the distribution network. Let’s consider this line of action. Healthy distribution network is the most critical factor in guiding your products reach their intended users. In other words, your distribution network is a vital part of your value delivery. To manage this value delivery, you must perfect your distribution mechanism. This involves fixing the way your value delivery is handled by your vendors (3PL) and your channel partners (Carry forwarding agents, Distributors, Stockists, and Retailers). When your distribution chain is secure, your end consumer would receive the full value of the product as it was intended. To achieve this, you must upgrade your field agent management system on two fronts: improving channel quality and health, and discovering profitable territories in unchartered territories. The assumption, however, is that all your competitors are following the same strategy. So how do you get ahead of them? It’s simple, by doing it better than them. The answer lies in incorporating a robust field agent management software into your distribution network. Here’s how some of the key aspects of field service management can help with your distribution. On-field deployment of tasks and deliverables is a necessary chore of distribution. However, this can be turned into one of the best contributors of optimization within your system. Field service scheduling software analyzes the potential and skills of all your resources and maps them, as per availability, to the tasks requiring those skills. It also creates an agile yet streamlined schedule plan for all the tasks of each of your field service agents. This helps your field workforce to plan their activities with utmost precision. Post-deployment, your software’s field service optimization engine designates the most optimized route for your field workforce to fulfill all tasks and meetings on-time with an efficient turnaround time. How does this work? 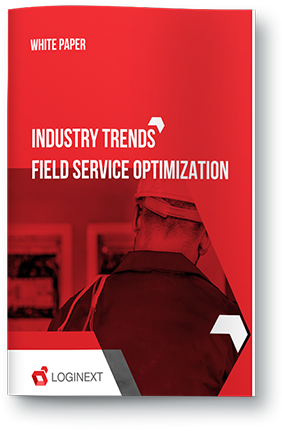 The field service optimization engine simply aligns traffic and weather considerations of the destination service points to ascertain the best beat plan (or task schedule) for your field agents. This gives your resources the best chance of reaching a forthcoming appointment right on time. And as we know, punctuality in service delivery is considered as a big boost for consumer satisfaction. Managing tasks and schedules of all field professionals with an eye on improving overall process efficiency and productivity can be done through a comprehensive field agent management software. This field agent management software optimized the movement of all your resources while giving you a unique bird’s eye view of real-time tracking information. A manager sitting at the headquarters can remotely assist any field agent in any situation, either as a service redressal initiative or as impromptu strategy update to capture new market. The decision time and go-to-market strategies can be streamlined with such software. The world is moving towards a consumer-centric distributive movement. Field service management is a vital part of making this distribution network work, and hence, can be the key differentiating factor amidst heavy FMCG competition.